It used to be Mimosa, but one sniff an all that changed. 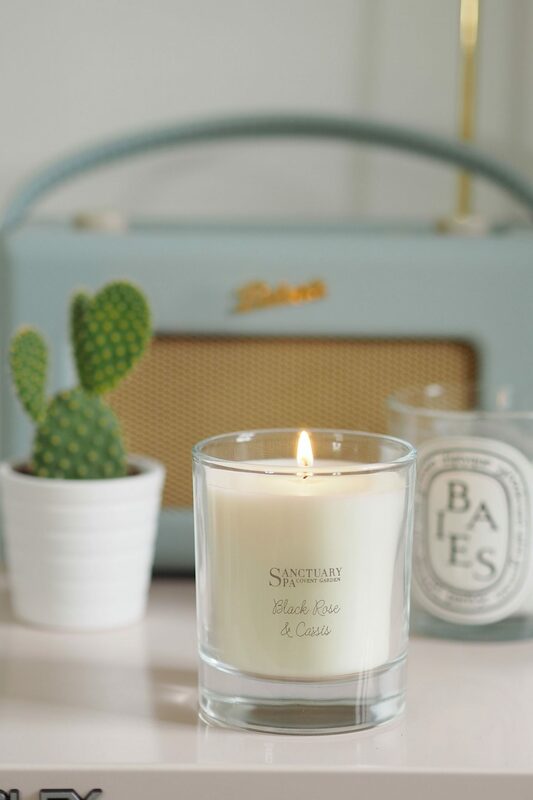 Yes, I’m talking favourite Diptyque candle fragrances and mine is firmly Baies (you know, until I change my mind at least) and I currently have one sitting on my desk and I love that even when not burning I get the occasional whiff. But, as much as I’d love to be all luxury 24/7, there are times when you just cant justify a full £42 on a candle. Which is why I was pretty excited to find a cheaper alternative option – a Diptyque Baies Candle Dupe if you will. I’ll make this a fairly short and snappy post, because it doesn’t actually need a huge amount of words. 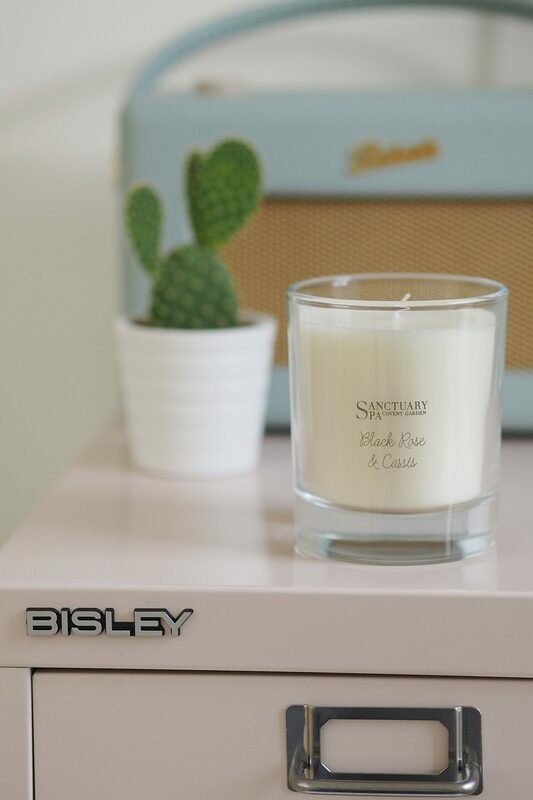 But The Sanctuary has a lovely range of candles, one of which is this Black Rose & Cassis version. At first glance I didn’t twig, but on sniffing it I realised that the notes are very closely similar to those of the Diptyque Baies. For some reason I always used to think Baies was like bay leaf or something… but the Diptyque website description reads “expresses the irresistible freshness of a bouquet of roses, sweetened with blackcurrant leaves.” HELLO similarities. It’s true, the notes are the same and the fragrance very similar. The Sanctuary one isn’t quite as powerful and the scent throw around the room not quite as strong as the Diptyque version. But, at £10 for the candle compared to £42 for the Diptyque, I can overlook a little on the scent power. When burning it takes a little while to ‘warm up’ and get the fragrance going but it works well when it does. A really lovely fragrance and a bargain £10 Diptyque Baies Dupe for sure. There’s also a Driftwood and Sea Spray that I’m wondering if it resembles Jo Malone Wood Sage & Sea Salt maybe?! Either way, really lovely candles and a more budget friendly alternative to the more pricey (although lovely) offerings on the market. They have little minis in the Christmas section that are about a fiver 3 for 2 too 🙂 Going to give this a smell! Ooh interesting, definitely going to check this out as my Baies is almost empty </3 thanks for sharing!